Improving the candidate experience helps your business retain qualified applicants. Why does the perfect candidate reject a job offer? That question, echoed across human resource departments, has a complex answer. Sometimes, a candidate simply loses interest in the position after the interview. Other times, they find a different employer. In some cases, however, the candidate experience is so frustrating it completely turns an applicant away from your company. 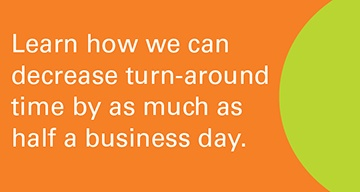 A bad experience costs your business customers and good employees. Just as your company evaluates applicants to find the right new hire, applicants judge your business to see if it would be a good employer. They start analyzing your company from their very first encounter: the application process. Any positive aspect works in your favor, while even the smallest bad thing works against you. A poor candidate experience does more than turn a qualified employee away. It also has a negative impact on your brand in two significant ways. First, it directly impacts your bottom line, as candidates who had a bad experience are less likely to buy from your business. This isn't just speculation - data from CareerBuilder found 32 percent of job-seekers are less likely to buy from a business that didn't respond to their job application. They're also more likely to badmouth your company to friends and family. As such, a bad candidate experience costs your business future customers and qualified employees. Secondly, many resentful candidates will take to social media and complain to their friends. Websites like Glassdoor make this incredibly easy and safe. Candidates can post anonymous feedback not just about the position but the hiring process itself, including questions on the application and how long the process took. What's more, future candidates trust these experiences and those of current employees more than those shared by the company. Your business might extol its company culture on the "About" page of its website, but candidates are more likely to believe the Glassdoor post of a frustrated former applicant. People feel such online reviews provide a more authentic view of the company. What causes a bad experience? Software Advice surveyed a number of job seekers to figure out what makes a bad hiring experience. The majority - 93 percent - said unclear application instructions were the primary cause. Ninety percent pointed to an extremely long application, while 86 percent cited a lack of confirmation email. Other factors included a lack of notice when the position was filled, a lack of salary information and an inability to contact a recruiter. These elements all imply one simple fact: Candidates want more urgency over the hiring process. Getting them engaged with things like confirmation messages, ETAs and consistent communication gives them a glimpse of how your business will respond to their needs as an employer. If you keep them in the dark through the hiring process, they assume the same will be true if they start working with you. Creating an engaging, supportive candidate experience does more than satisfy applicants in the here and now. The right process discourages people from posting negative messages online and keeps potential applicants as loyal customers. Working to improve your candidate experience? 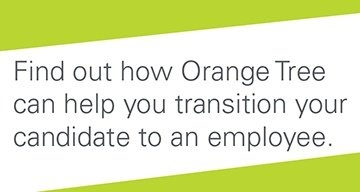 Contact the Orange Tree sales team to see how we can help!